Leading manufacturer of security and access solutions, dormakaba, has launched its latest brochure promoting products that protect the physical security of data centres, server rooms and server racks. Created with building service professionals in mind, the brochure includes products suitable for high security applications where the protection of data is paramount. Accompanying the brochure, dormakaba have also created a video to highlight the importance of physical access to secure data centers. The physical security of data plays a key role in ensuring that information is kept secure and safe from misuse. Whether private to an organisation or an individual, organisations have a responsibility to ensure that all data is kept secure throughout its life-cycle; from the time it’s created, to the time it is used and finally through to the time it’s archived. The first section of the brochure introduces the main challenges faced when securing data, including where sensitive data resides and how it is stored. With site access restricted to a select group of individuals, data centres and server rooms are environments that require secure and compliant access solutions. The brochure also includes product categories that recommend fit for purpose solutions depending on the desired application. 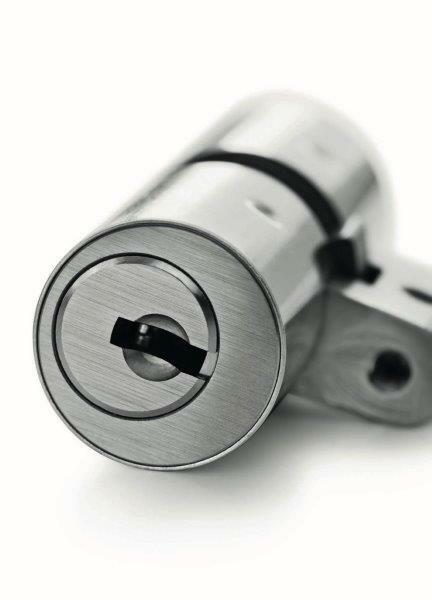 These range from Cylinder & Key Systems to Electronic Access Control and Safe Locks. “With GDPR due to come into force at the end this week, organisations now have a heightened awareness of their responsibilities in protecting personal data,” said Clive Baker, Director of Security Locking at dormakaba. To receive a free copy of dormakaba’s new Cyber & Data Protection brochure, please download at www.dormakaba.co.uk or contact marketing.gb@dormakaba.com.